Samsung’s woes with the Galaxy Note 7’s battery are far from done. The latest issue comes from Port St. Lucie, Florida where a Galaxy Note 7 is said to be the cause of a car fire. The owner of the car said that the device was charging in the car and its believed that the battery exploded. The Port St. Lucie Police Department called the smartphone in the car at the time “Samsung 7 phone,” but given recent events and the recall its understood what model was being mentioned. Investigators haven’t stated that the accused “Samsung 7” was the culprit and are currently still looking into the incident. While the company has taken steps to curbing the effects of the battery flaw such as updated firmware that stops charging at 60-percent and the recall, the uptick in incident reports seems as though owners aren’t moving to turn in their devices. 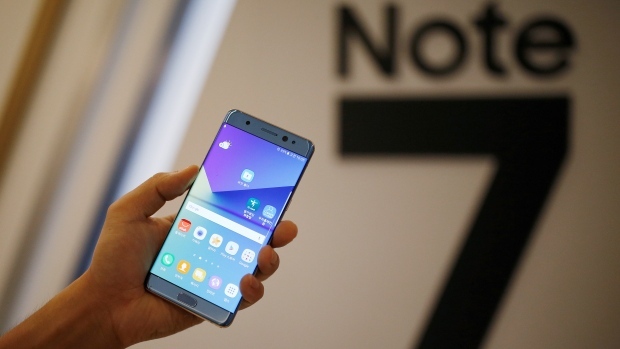 Again if you have Samsung Galaxy Note 7, be sure to turn of the device and turn it in either your mobile service provider or to the store you purchased the phone. All major U.S carriers are offering refunds or for owners to swap out their phone for a safe, working model.